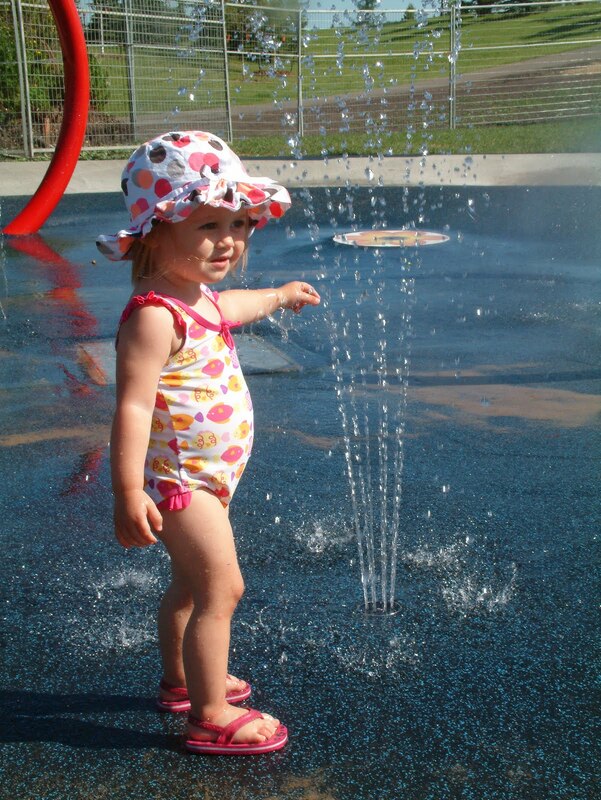 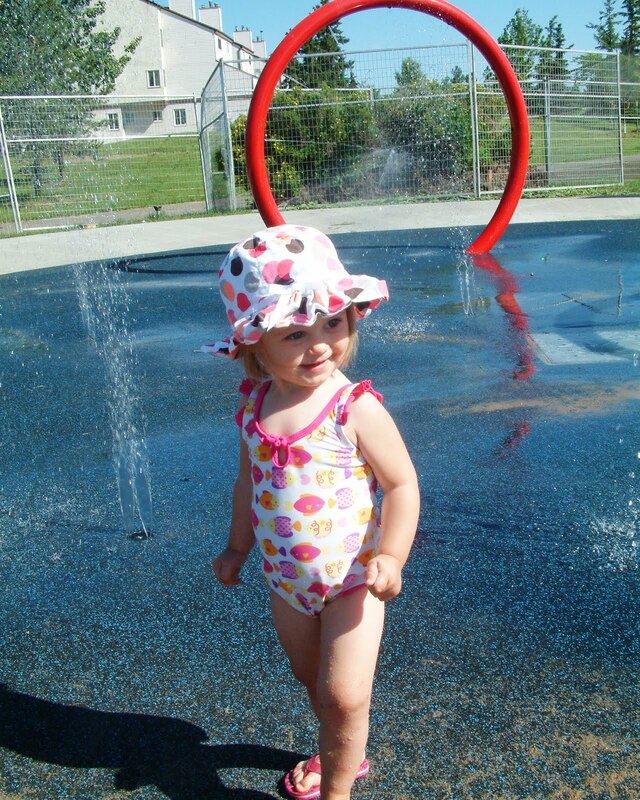 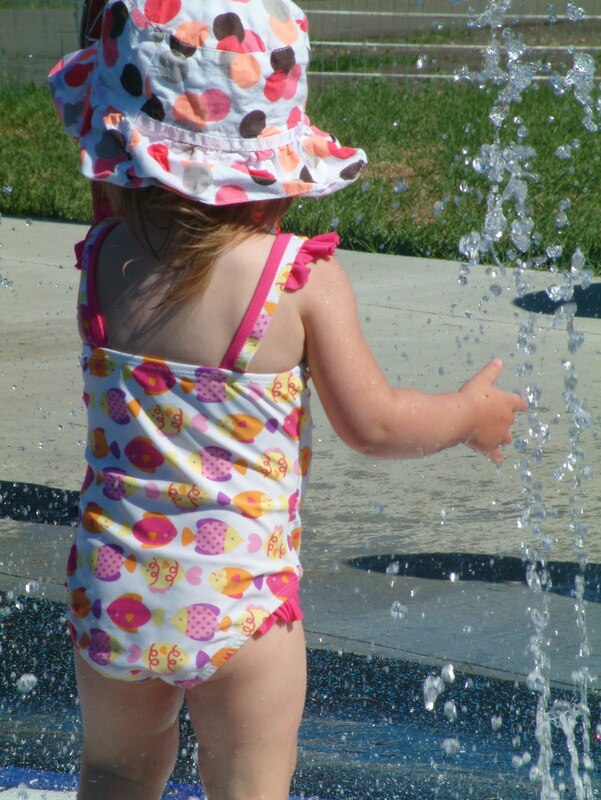 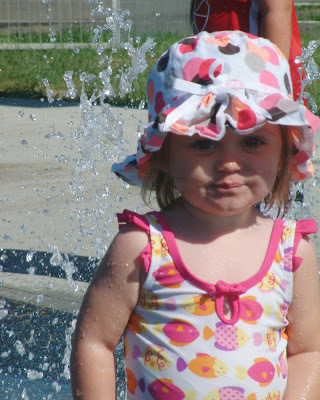 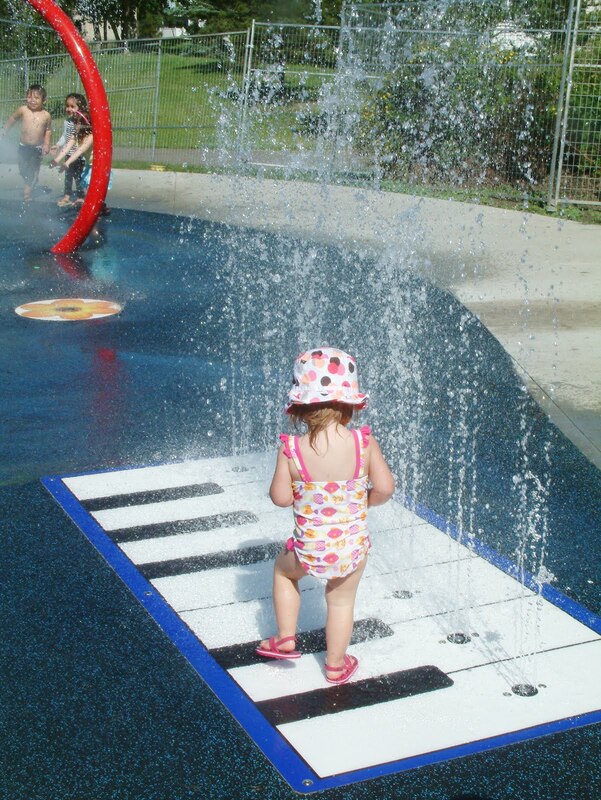 Gracie had so much fun at the splash park this morning! 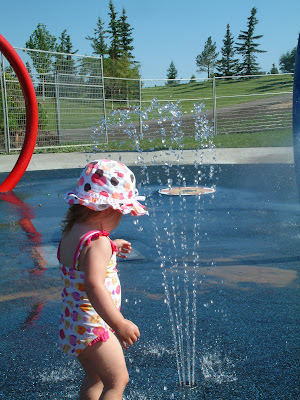 It was 28 degrees out at 11 am, and the park was full of screaming, wet, giggling kids. Pretty fun!! 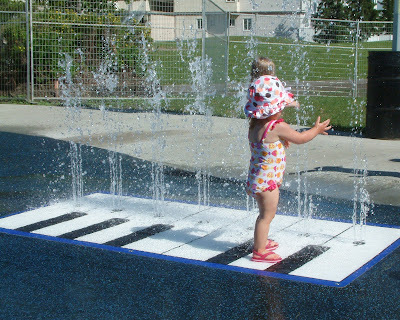 The piano was one of her favourites!